It is hard to say even when armed conflict began in Colombia. Most descriptions of the fighting date it back to 1964, the year that the country’s two leftist guerrilla groups emerged. But the Revolutionary Armed Forces of Colombia (FARC) and National Liberation Army (ELN) sprang up after only a brief lull following ten years of intense inter-party bloodshed that began in 1948, known simply as “La Violencia,” which in turn came less than half a century after a civil war that took 100,000 lives. The 19th century, too, saw many smaller wars between elite factions. Today, the main groups confronting Colombia’s state — which has been under continuous elected civilian control since 1958 — are the FARC, ELN, and a collection of militias descended from a network of pro-government paramilitary groups, the United Self-Defense Forces of Colombia (AUC), which partially demobilized in 2006. Taken together, there are currently between 15,000 and 20,000 irregular fighters active in Colombia, all of them funded in part by drug trafficking, in part from extortion and kidnapping, and in part by exploiting natural resources, especially illegal mining. At times mingled with these groups, at times separate, and often drawing its oxygen from state corruption, is organized crime. This includes networks and structures that can trace their lineage back to the 1980s heyday of the Medellín and Cali cartels, and newer, more businesslike, diversified, low-key and well-connected structures. It also includes urban gangs who control trafficking and other criminality in the slums of major cities, and who themselves are linked to both mafias and armed groups. A new hope, or a lull? Despite this grim but complicated reality, Colombians are feeling largely optimistic today. No armed group is anywhere near capable of taking power, most measures of violence are down significantly from ten years ago, and most of the worst fighting has been pushed to less-populated areas. The drug trade’s center of gravity appears to have moved to Mexico, where attendant violence has spiked. Though Colombia’s homicide rate remains higher than Mexico’s, it is lower than Venezuela’s. And now, negotiations with the FARC have formally begun. It is not at all clear, though, whether this more hopeful moment is just another lull in 200 years of on-again, off-again bloodletting, or whether Colombia is finally leaving its uniquely violent history behind. And it has been unique: no Latin American country has suffered as frequent or as lengthy civil wars, such sustained high homicide and violent-crime rates, or — until the past few years in Mexico — such a complete dominion of powerful organized crime monopolies. What has made Colombia so uniquely lawless? Part of the explanation lies in its extreme economic inequality, high even by Latin America’s lopsided standards. Colombia’s top ten percent earns more than 40 times in a year what its bottom percent earns (the comparable figure for the United States is about 16 times), and one percent of landowners control nearly two thirds of legally held land. Part of the explanation lies in ethnic divisions: minority Afro-Colombian or indigenous status correlates closely with poverty and political exclusion. Much, too, owes to the country’s geography: its coasts on two oceans in South America’s northwest corner make it an attractive jumping-off point for traffickers, while its topography, broken up by three chains of the Andes mountains, has made it a difficult place to govern. Not that governance has always been attempted. Another reason for Colombia’s chronic violence, and for the ease with which the drug trade took root, is the remarkable weakness or absence of central government authority in much of the national territory. Though there are exceptions, a general rule of thumb is that the country’s “frontier” begins about 15-20 miles beyond the limits of any mid-sized city or principal highway. Paved roads become very rare. So do police, and of course health and education workers. The justice system effectively disappears. So does the middle class, as poverty rates jump. Local power — often in the hands of landowners, machine politicians, armed groups or narcotraffickers — matters far more than the central government. Local power in a governance vacuum also explains much of why armed groups continue to fight. Ideology — whether orthodox Marxism or a cruder hatred of a predatory ruling elite — still drives the FARC and ELN at the national level. But today neither group has a realistic hope of taking national power by force. At the regional level, meanwhile, armed groups (as well as criminals and politicians) are engaged in a constant struggle for control of resources, particularly land, minerals, and drug-trafficking routes. This is not merely a scramble for riches: if it were, there would be far more evidence of guerrilla leaders buying luxury goods instead of guns. The picture is more complicated. Control of resources is both a source of local power and the main reason to seek it. Colombia’s government has tried and failed three times to negotiate with the FARC. The process just underway in 2012 is the fourth attempt. In between these, the country has witnessed surges in violence. After the collapse of dialogues in 1992 and before new dialogues began in 1998, the guerrillas and paramilitaries, dipping into the drug trade as never before, roughly tripled in size. Between the collapse of talks in 2002 and this year, Colombia’s government went on the offensive, nearly doubling the size of the armed forces and tripling the defense budget. US$6.3 billion in military and police assistance between 2000 and 2012 — a framework that Washington called “Plan Colombia” — contributed to this buildup and counteroffensive, which weakened the FARC considerably. Improvements in size, mobility and intelligence, part of a policy that the government called “Democratic Security,” allowed Colombia to locate and kill top guerrilla leaders for the first time. The FARC is estimated to have shrunk from about 18,000 to 9,000 members between 2002 and 2008. The paramilitaries’ exit from the scene, though incomplete, contributed to an approximate 50 percent drop in homicides since 2002. State presence, or at least security-force presence, increased in many remote areas that had been virtually ceded to the armed groups. Democratic Security and Plan Colombia could not finish the job, however. The FARC was diminished but not stopped. In fact, the frequency of its armed actions, and casualties inflicted on the security forces, have increased since 2008. Plan Colombia’s massive increase in eradication of coca, the plant used to make cocaine, brought initial decreases in the crop, but these plateaued after 2003 as growers adjusted. Demobilizing paramilitaries made shocking, if partial, revelations of the support they got from local and national politicians, businesspeople, and the military. For its part, the military’s direct involvement in human rights abuses worsened, as prosecutors investigated cases of as many as 3,000 civilians who were detained and killed in the 2000s, their bodies later presented as those of combat kills in order to pad body counts. New peace talks: what would change if they succeed? After ten years in which combat between the security forces and armed groups alone killed 23,000 Colombians (with thousands more killed by combat between armed groups, or attacks on civilians), the country is negotiating peace again. President Juan Manuel Santos, elected in 2010, quietly initiated exploratory contacts with the FARC that year. Talks continued, slowly, then evolved after February 2012 into a series of discussions in Havana, Cuba. In August 2012, both sides agreed on an agenda for formal negotiations, which began in October. Several conditions now in place offer reason for at least modest optimism that these fourth talks might succeed. For one, the two parties are in a “hurting stalemate,” in which both leaderships likely view the cost of continued fighting to be greater than that of a few concessions at the negotiating table. The FARC is weaker and sees no chance of taking national power, yet the government realizes it won’t be able to force a surrender without first undergoing a grim, years-long war of attrition. Other new and helpful ingredients include the presence of international mediators at the table; the inclusion of negotiators from presumably reticent sectors like the military, the police and the business community; and a negotiating agenda that — while still including some difficult issues — is less ambitious in scope than those of past efforts. Whether they are dominated by FARC, “Bacrim,” narco-criminals or something else, though, Colombia will continue to have vast ungoverned spaces across its territory. A successful peace process will not change that, at least not right away. While governance gaps persist in much of the national territory, and while local power and resource control continue to drive illegality and conflict, many areas of the country may see little change if peace breaks out. Without a state presence, and with near-total impunity for local powerholders even where such a presence exists, historically conflictive departments like Putumayo, Caquetá, Guaviare, Cauca, Arauca, or Norte de Santander, among others, will continue to be attractive locales for those engaged in the drug trade, illicit mining and deforestation, extortion, human trafficking and other forms of organized crime. The FARC’s demise could herald the end of illegal armed groups with national reach in Colombia. That, if sustained, would be a major break with the country’s violent history. But it will not mean the end of illegal armed groups with local reach. In fact, the “Bacrim” likely offer a glimpse into Colombia’s near future. They seem to represent the model of organized crime or narcotrafficking most likely to prosper in coming years: groups with control over specific territory; with a few hundred armed members organized in loosely military fashion; with leaders who maintain a profile so low that they are often known only by their aliases; linked by corruption to local (but not national) security forces and politicians; and — since they lack international reach — dependent on a foreign trafficking connection, usually a much wealthier Mexican criminal group, which can often dictate terms to it. Often, these groups’ leaders get captured, usually because they don’t command the same loyalty from their subordinates, who provide information to authorities. But again, in the absence of a state presence and with the persistence of impunity in areas they dominate, new leaders and groups spring up. Each capture ends up resembling Hercules’ battle against the Hydra, the multi-headed mythical beast that sprouted a new head each time one was lopped off. This may, in fact, be a glimpse into the near future for much of Latin America. In Mexico’s battle against its cartels, in Peru’s Huallaga and Apurímac-Ene valleys, in the Miskito Coast of Honduras, in the favelas of Brazil, we are similarly seeing security forces, often with U.S. aid, cutting heads off of Hydras in chronically ungoverned territories. From this, we should not conclude that nothing can be done. Hercules ultimately found a way to cauterize the Hydra so that new heads would not appear. Similarly, Colombia’s (and Latin America’s) resource-driven, local, crudely political violence also has a solution. But it is not an easy one. It requires closing territorial governance gaps, and curbing impunity. The chronic violence we see is the consequence of statelessness and the absence of a justice system. Ending it will require bringing the state into the national territory – the whole state, not just the security forces, who are neither trained nor equipped to govern. It will require that this be done without ejecting or abusing the existing population in ungoverned zones. It will require that, after they arrive, the state’s representatives in these zones not be above the law: that abusive, corrupt or predatory behavior is systematically punished. This is very difficult. Filling governance vacuums is a long-term project. It does not yield immediate, politically convenient results. It is expensive, requiring elites to pay more taxes while ceding long-held prerogatives to the justice system. Moving from military occupation to civilian control is especially tricky, as security conditions are difficult to establish and civilian agencies are often poorly equipped or lacking in will. Starting in 2007, Colombia embarked on one of the most ambitious “closing governance gaps” programs Latin America has ever seen. Its U.S.-backed National Territorial Consolidation Plan seeks to establish a state presence in seven zones, through a phased process that begins with military occupation and is to end with most security forces’ exit, leaving behind functioning civilian institutions. The program attained important gains in security and state presence in a few zones, though no military-to-civilian handoff has yet occurred. Meanwhile, it is floundering in the current government, which has clearly made the program a much lower priority as it pursues other initiatives, high among them the current peace process with the FARC. Even if this peace process succeeds, though, Colombia’s state will find itself forced to pursue a program much like its Consolidation Plan — hopefully with a clearer path to civilian governance — in areas of former FARC control. If it does not do so – if its frontier zones remain stateless – Colombia’s conflict will not end. It will merely evolve into something else. 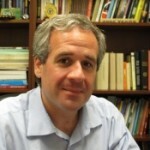 Adam Isacson is Senior Associate for Regional Security, Washington Office on Latin America.